Name tags are name cards that mostly display the name of the holder but can also contain tons of other useful info such as job title, company’s name, company’s logo, etc. Let’s concentrate on classic “Hello my name is” name tag template and see how MakeBadge badge maker can create such tag for you for free! The classic name tag can change color only. The general structure doesn’t change. You write Hello my name is and leave a space to hand-write the name of the tag owner. Do 2 simple steps to start the process: open your browser, start MakeBadge badge maker app and switch to creating your first 100% free “Hello my name is” tag. Usually it’s a square shape where you place colorful stripes. 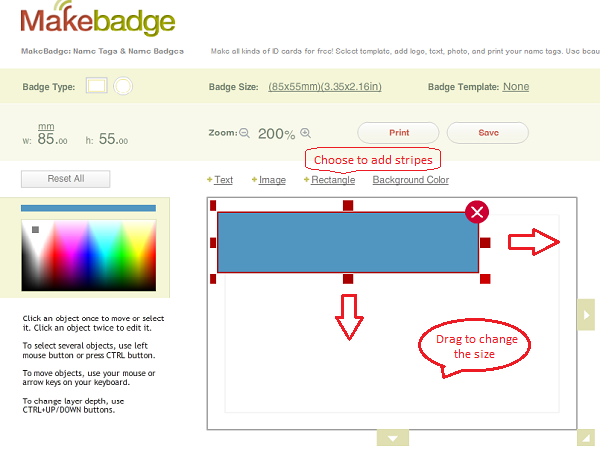 So get involved the Badge Type, Badge Size and Zoom options to define the initial name tag dimensions. Now let’s add the necessary stripes to the future Hello my name is tag. To do this, click the Rectangle link. You can drag it over the area and resize it to fit the size of the tag. 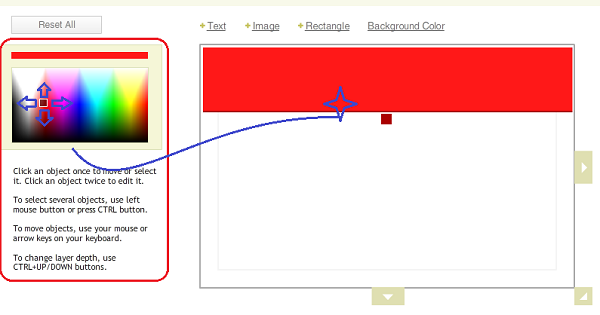 Then you need to fill the rectangular area with the color. Use the section on the left to find the right color. After you’re done with one stripe, you can add the second one at the bottom. 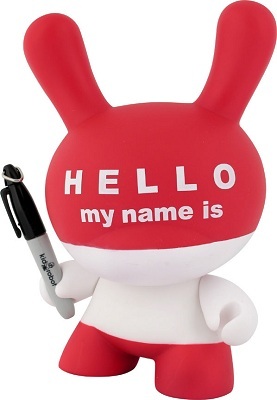 And the only thing to do will be to add the famous text template – “HELLO my name is”. Click the Text link to add the text area to the tag. Don’t forget that the characters should be white no matter what the background color is. You can select the font, adjust the font size, and decide if your text will be bold, italic or regular. Play with these options to get the best looking “Hello My Name is” badge. When you think that no changes make your name tag better as it is, click the Print button get it. Or click the Save button to upload the template on to your computer. And yes, we always recommend you to print several versions to compare the look and the feel of several “Hello my name is” name tags. 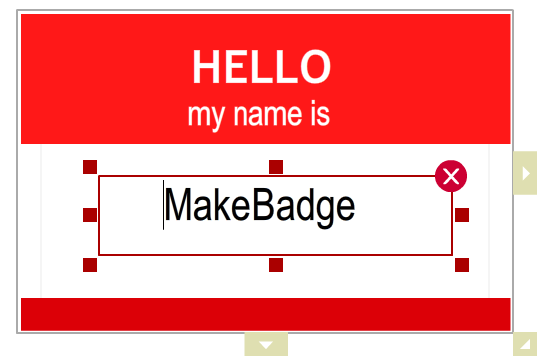 What’s So Cool About Making Name Tags with MakeBadge? In regard of the strict requirements to its classic tag design, the stripes on the Hello my name is badge can be of various width and color. And you can easily check it with MakeBadge. Though the text on the stripes should be white, you can arrange it in several ways. That is also can be done with the Text option. Usually the colors for the name tags are bright to attract attention to the name of the tag holder. Don’t forget about it. But nobody said that you cannot conduct your own experiment with MakeBadge and try on pale color or a fashionable so-called Tiffany tint (which is in reality mint). You print and see how the variations of “Hello my name is” name tag look in reality and you spend no money on it! 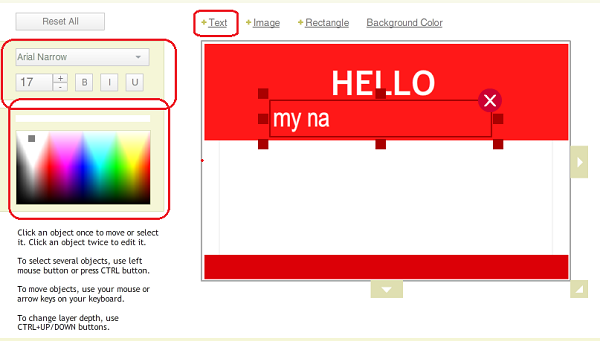 Start creating Hello my name is tags with MakeBadge now!